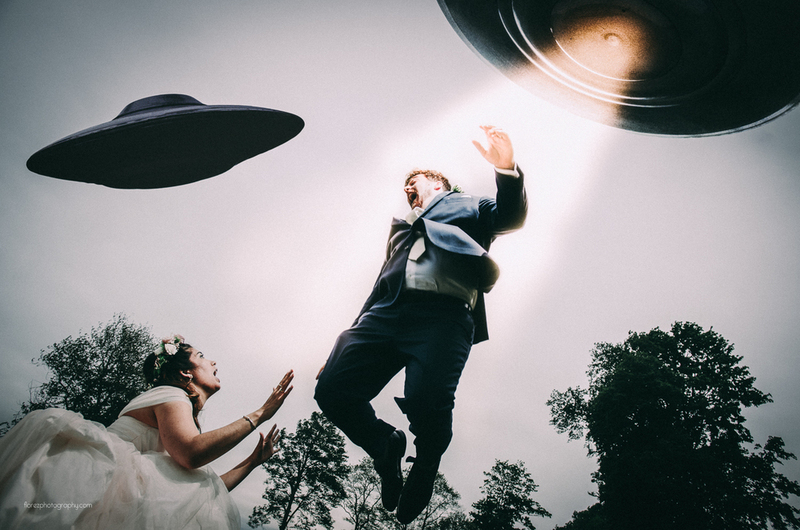 Wedding photo or low budget science fiction movie still? I love it when the bride and groom get excited about trying new things. When they told me they wanted to do something unique, and their family members wrote science fiction stories, we instantly had several ideas. Monsters, ufo abductions, flying saucer invasions, and dinosaurs. All in the works. Stay tuned for more! If you have any ideas or suggestions, please comment below!